Marc Jacobs Beauty Sally 130 Hi-Shine Lacquer review and photos. 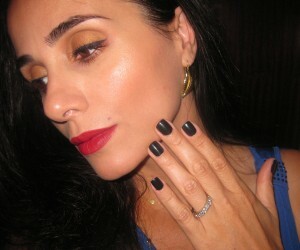 Marc Jacobs Beauty Sally 130 Hi-Shine Lacquer swatch. Tom Ford set the stage for modern clothing designers to delve into the oh-so-profitable cosmetics arena. It is no secret that cosmetics yield tremendous earnings. No matter the state of our nation’s finanical system, people continue to buy beauty products. There is a recorded link between a slow economy and a rise in lipstick sales. Armed with these statistics in hand, it comes as no surprise Marc Jacobs recently released his cosmetic collection at Sephora. Although, the eyeshadow palettes were attractive and the colors were pigmented, it was the design and packaging of his nail lacquers that struck my fancy, so I decided to try Marc Jacobs Beauty Sally 130 Hi-Shine Lacquer ($18 US/.43 fl oz.). *click on each photo to enlarge. 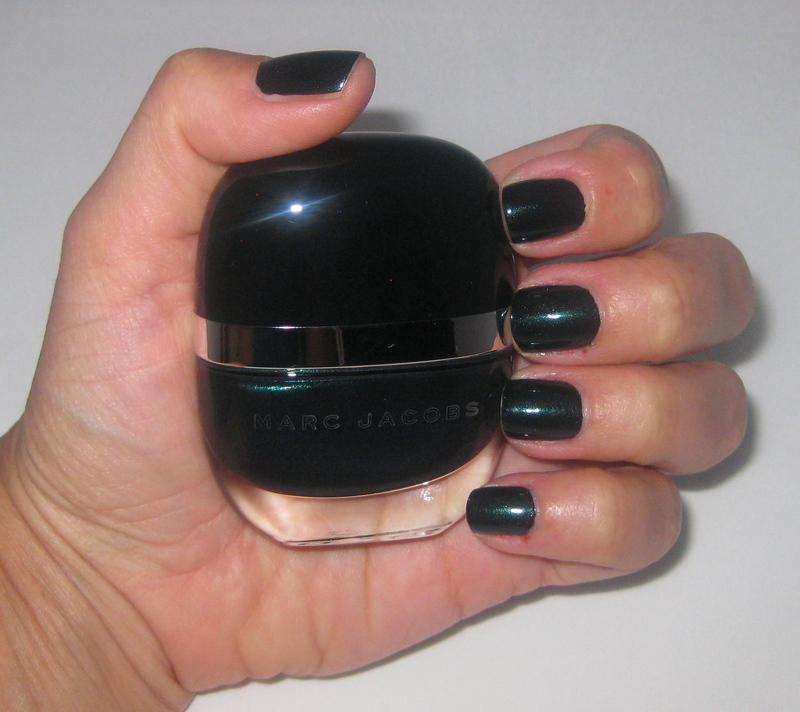 Marc Jacobs Beauty Sally 130 Hi-Shine Lacquer is actually a black based polish combined with an abundance of teal micro-shimmers. This is my type of color. The first coat applied a bit streaky, but the second coat did even out the color and texture beautifully. From afar, Sally 130 resembles a black polish, but it does come alive under florescent lighting and in sunlight. The brush is slightly thinner than OPI, but has a nice density which enabled the polish to apply smoothly in the classic three stroke method. Another, wonderful feature to the polish is how fast it dries and how smoothly it settles once it dries. It took more time to file and shape my nails than to polish them. Removal of any mistakes was easily achieved with the use of Zoya nail polish remover; the color did not bleed out and/or stain my cuticles. As always, I use a my Revlon ColorStay base coat and Out the Door top coat. Sally 130 lasted 5 days without any chipping, this will vary according to one’s activities. The price/amount ratio is right up there with Deborah Lippmann polishes. MJ offers more polish than Chanel, Dior, Lauder, etc. at a cheaper price. His bottle’s design, IMHO, is the most unique shape I have seen in a long time. 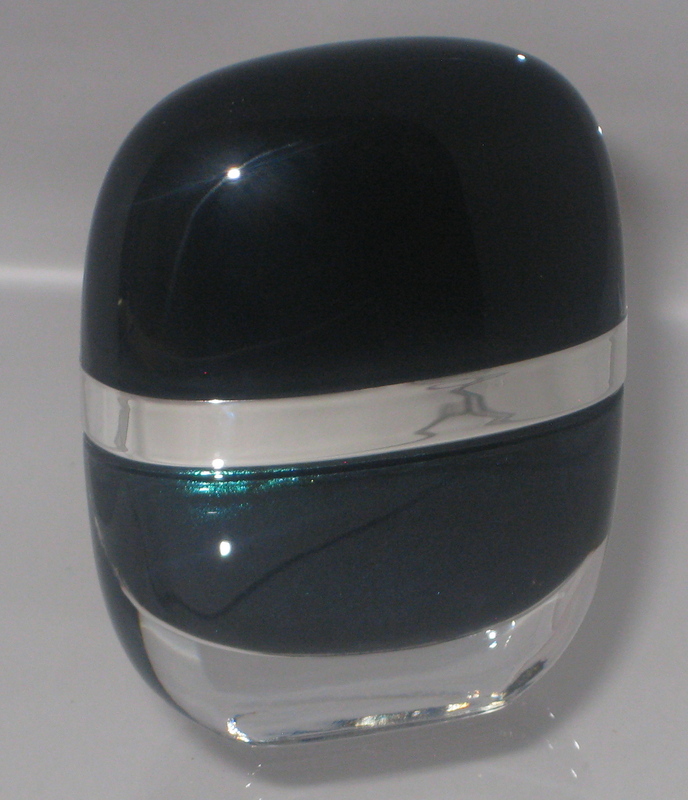 This dark rounded vessel reminded me of a perfume bottle rather than nail lacquer. Although not advertised as 3-free, I believe Marc’s lacquers do not contain Formaldehyde, Toluene, or DBP, but has Formaldehyde Resin listed as an ingredient to add shine to the polish. Marc Jacobs Beauty Sally 130 Hi-Shine Lacquer. Personally, I did not find Sally 130 to possess any more of a high shine than the respective competitors. A top coat would be highly recommended to add shine and longevity to the polish. The other colors offered were very basic and really quite dupable, with the exception of three colors called Petra, Le Charm, and Gatsby (colors that will not suit me in the least). Marc Jacobs Beauty offers 24 colors in the nail lacquer range and can be found exclusively at Sephora and Sephora.com. 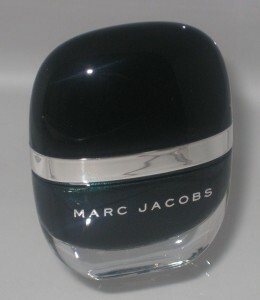 Marc Jacobs Beauty Sally 130 Hi-Shine Lacquer nail swatch. Makeup would tell you Marc Jacobs Beauty Sally 130 Hi-Shine Lacquer is a beautiful, dark, vampy alternative to your typical black color. Although, I am sure one could find a similar color to Sally 130 in a drugstore brand, I must give Marc credit for unique packaging and style. I am content with my one purchase from his line. I must save my pennies and spread my wealth to other brands and upcoming winter collections. Until we meet again….Be well and stay safe. Marc Jacobs Beauty Sally 130 Hi-Shine Lacquer ingredient list.